Steep cliffs of Doubtful Sound showing tree avalanches and slips. Beech forest (Nothofagus sp. 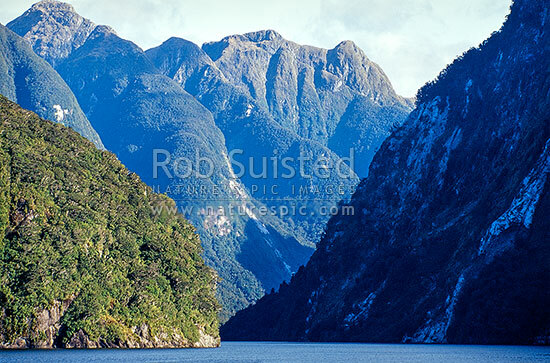 )., Fiordland National Park, Southland District, Southland Region, New Zealand (NZ), stock photo.